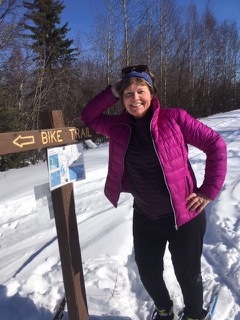 Amelia Indie Authors (AiA) is pleased to present an interview with Alaska-based author Laurie Robertson. 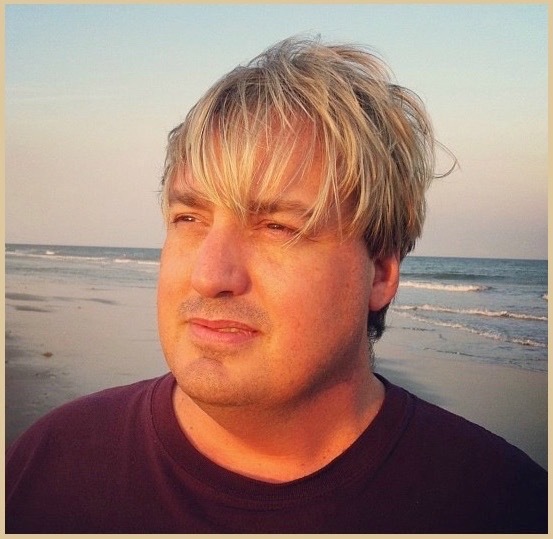 Visiting Amelia Island in February to see family and attend the 2019 Amelia Island Book Festival. Laurie also attended the February 14th “we love indie authors” celebration we co-sponsored with the Book Loft. There she won one of several drawing prizes: a personal interview published on our blog. The benefit is ours, however, in that we get to learn more about this lovely woman. AiA: Welcome to our screen, Laurie! To start, please tell us a little about your background, and what brought you from Alaska to Amelia Island? 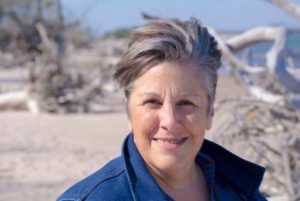 LR: Detroit, Michigan was my hometown, and in the mid-1970s—because of economics and the lure of adventure—I settled in Alaska during the oil pipeline era. I received my teaching degree in secondary science and master’s degree from the University of Alaska, Fairbanks, and Anchorage. I’ve just retired from 35 years of teaching in Alaska. It was a great career that covered a range from teaching in the rural Athabaskan villages of Rampart and Nikolai to the urban setting of Fairbanks. I have spent most of my career in alternative education working with students at risk for dropping out of high school. Some of my family lives in Yulee, Florida. My sister and brother-in-law own two stores on Centre Street, in downtown Amelia Island, so I’m fortunate to be able to visit. People around the island are friendly, and I love strolling along the beautiful ocean beaches — especially in the morning fog. AiA: What was your impression of the Amelia Island Book Festival. Do you attend other similar festivals? Any recommendations here for other indies? LR: The Book Loft indie reception was a great way to meet several authors and publishers from the area. The writers’ workshop provided a wealth of information. It had two tracks to mix and match, so participants could individualize the program according to their needs and interests. I also would highly recommend the manuscript critique that was available there. Steve McCondichie was very helpful with his recommendations from a publisher’s perspective, and his commentary was valuable. I wouldn’t hesitate to do it again. AiA: Did you always write, or is writing a new interest for you? How did you come to it? LR: I’ve been a poet since I learned how to write but never thought about writing a novel until an idea came to my head. I was about 30 at that time and did not realize I would publish a book. I wrote the first draft in longhand. I spent part of three summers traveling around the west gathering information about the Oregon trail and the Native American culture. It was fascinating, and with that, along with my handwritten version, my novel was born. AiA: Where do you find your inspiration? LR: Storylines appear in my head seeming from out of nowhere. I used to be an avid reader, but presently, it seems I’m always choosing between reading or writing. Writing, predominately, wins out. Sometimes, to develop characters, I refer back to parts of my favorite movies or a TV series. I study certain actors to see how their facial tics or body movements portray a specific personality type or motivation. I love concentrating on writing deep characters, so I’m a people watcher in real life situations. AiA: How long did it take you to complete your first book? What were the speed bumps or stumbling blocks along the way? LR: I’m embarrassed to admit this because it took almost twenty years to publish my novel, Crossing at Sweet Grass. Not only was I was raising a family and working full time as a high school teacher, but I had another journey beside traveling the Oregon Trail. That journey was learning my writing style. At first, I had no idea about the skills it took to author a good novel. I had to learn about writing several drafts, point of view, and cutting out pages and pages of flashbacks and campfire stories. My biggest speedbump was myself. Some years I put away my manuscript and didn’t work on it, but now I encourage authors to write daily. AiA: What is your writing process like? LR: I have a grown family, so I have more time to write. I usually go to Jazzercise first thing in the morning, then come back home and sit at my desk or kitchen table to write. If I’m doing first draft writing, it’s pretty much a stream of keyboarding for about four hours a day. If it’s the second draft, then I spend the time to fill in plot and characters. I like to grammar check on the second draft. While I’m contemplating what the characters would do and say, I get up and move, watch the birds at the feeder or take a walk. There are ski and hiking trails right outside my door. I move to the next chapter if I get stuck. Sometimes I write scenes that have nothing to do with the particular section I’m working on. They get filed in a separate folder on my desktop, and I’ll usually cut and paste them into other chapters. Early on I realized writer’s block inhibits me only when I worry what other people will think about my writing. If I don’t dwell on that, my characters come alive on their terms, and I keep writing. AiA: How did you find your editor, and what did you think of the editing process? LR: I love the editing process as it demands a spectrum of emotions; it makes you cry, it makes you quit, and it makes you begin again. My strength is in the rewrite, so I have surrendered to that process as a positive aspect of writing. A dear friend is a content editor, and she patiently reads my material and has wonderful insights. I have a few beta readers; one reads across several genres, one is a retired psychologist, and another has a great sense of humor. These avid book lovers give me needed feedback and insight. For my first two books, I used a line editor with an indie publishing firm and found it immensely beneficial. Now for my zombie action series, I’m looking online for content and line editors since I plan to direct publish. AiA: What drew you to Alaska, and does the location influence your writing content, style or process in any way? LR: Even as a child, I wanted to go to Alaska. I love the wilderness adventure lifestyle. It’s hard to believe, but I don’t mind the cold weather. I love snow skiing and the arctic colors during twilight. 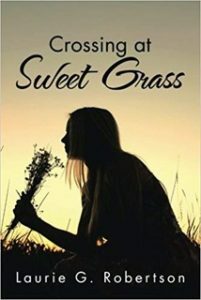 While my stories don’t originate in an Alaskan setting, the Native American characters in Crossing at Sweet Grass were inspired by my time teaching in the rural communities and travels. They are lovely people rich in cultural traditions and ways of knowing the natural world. Alaska has a wealth of artists and authors. A fun writers conference to check out if you’re interested in coming to Alaska during the summer would be the Kachemak Bay Writers Conference June 14 – 18. AiA: Your first book is historical romance, and your second is poetry. How did you choose these genres? My challenge as a writer is to describe my books since my writing style naturally crosses genres. 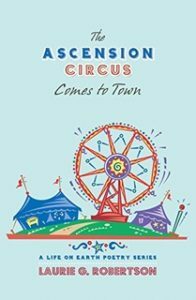 The Ascension Circus Comes to Town is like a poetic novella with seven chapters. It took a long time to gently combine my poems into a circus theme that makes personal growth seem like fun and adventure. AiA: What are you working on now? Do you have a new book underway? Please tell us about it. Imagine you’re young, beautiful and alone in a world of zombies. What would be your journey? Join Savannah’s self-discovery through survival challenges, heartache, and love. Thank you so much to the Indie writers of Amelia Island. 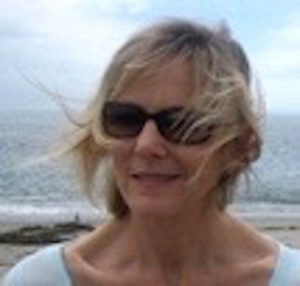 AiA: Thank you for sharing your story with us, Laurie! We wish you great success with all of your writing endeavors. Please visit us again!